I don't pretend to know much about train but there is a certain allure about them. A powerful locomotive (or two or three or more) pulling hundreds of tons of steel loaded with coal, grain, dry goods or virtually anything else with nothing constraining them other than two rails of steel. 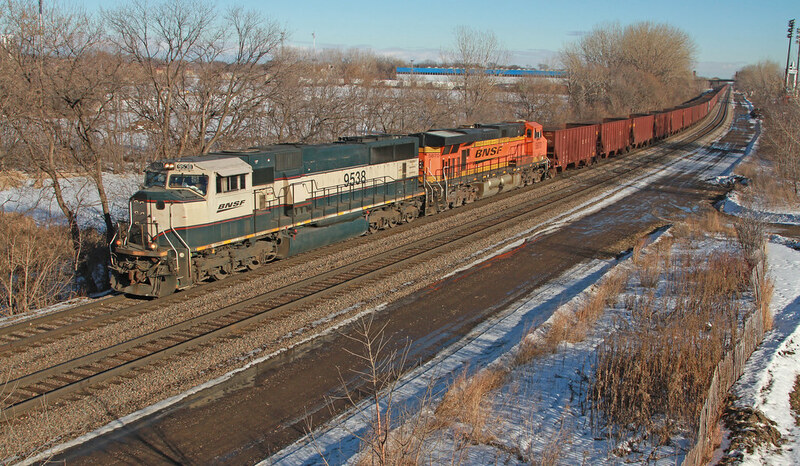 This BNSF train, pulling empty coal cars, is snaking its way through St. Paul, MN on a sunny January day -- probably heading somewhere to load up with yet more coal.